The Bates Hole Christmas Count is one of the last rural bird counts in the nation, a tradition that's been going on for 119 years. Citizen scientists spend part of the holidays counting birds to help inform trends in bird populations. On the morning of New Year's Day, the temperature outside is minus 15 degrees as I walk up to Charlie Scott's farmhouse. But the chilliness hasn't deterred participation in the Bates Hole Bird Count because by 7:30 a.m. around sixteen volunteers are gathered in the living room. Over coffee, they think through the day's plan and I get a crash course in birding. It's something I've never done before. Charlie and his brother Stacey peer over a laminated map of the bird count area. "You see right here where it crosses Little Red Creek? This might be worth exploring little a bit on foot," Charlie says to the group. Both brothers know Wyoming and its birds well. They started birding with their dad when they were kids. Charlie's Dad Oliver Scott founded the Wyoming Audubon. Oliver Scott taught popular classes about birding at Casper Community College and wrote a book titled A Birder's Guide to Wyoming. The book details maps to locations and descriptions of Wyoming's famous birds like the sage grouse. Charlie has been hosting the Bates Hole Bird Count since 1978. Over the last sips of coffee, Charlie and Stacey banter about birds they hope to see today. "We do have some rough-legged hawks, but not as many as we've had in the past. I've seen a few," says Stacey. He thinks Rough-legged Hawk numbers will be down from last year. "Last year, we had -. Well, it was always an argument over how many we had. I think I had twenty I saw myself," says Charlie. Bates Hole isn't much of a town, just a group of houses. 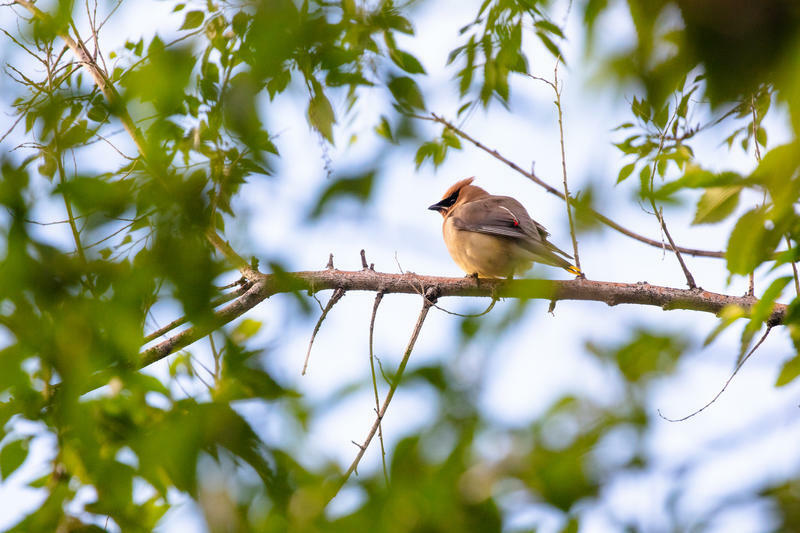 And while there is an urban bird count less than a half an hour's drive away in Casper, these bird enthusiasts want to experience a truly distinctive birding event. Everyone forms groups and we head off to our designated areas to search for birds. Charlie Scott leads us between sage and snowdrifts. I look through my binoculars at tree sparrows and black-billed magpies that perch on the ranch's cows. Birds are more likely to be found next to open water sources that aren't iced over. We look around irrigation ditches and along the banks of Stinking Creek. And then, I actually spot something. "Oh! Turkeys! Turkeys right here," says Jason Finkle, who's originally from the East Coast and so he's learned a new set of birds moving out west a few years ago. "Guys that was her! Good eye! You'll be a birder yet." Finkle participated in the Casper Count too but he enjoys the variety out at Bates Hole. He's used to counting birds at bird feeders. "It's just different being in town, they are not all feeder birds, which is really cool," says Finkle with a smile. All that open space can make spotting birds more difficult, but there are also fewer trees or buildings to obstruct a birder's view. "You know, the aha! moments," says Finkle. "You just never know what you're going to find, and if you don't go out and look for them you are never going to see them." As we continue our trek, we think we see a shrike, a grey and black innocent looking bird with an unusual mating ritual. "The shrikes take the insects that they catch and they impale them on spikes and barbed wire fences and things like that. To show females how good they are at catching things." I tell Finkle that is the best thing I've heard all day. But we still haven't seen the sage grouse. That's one bird I especially wanted to see. Even though I grew up in Wyoming, I've never seen one. Charlie gives me hope when he explains why his bird count is special. "We have a great deal of sage grouse habitat within the circle. Just the nature of this place. And I think we will have seen quite a few sage grouse today." At the end of the day, all the groups come back together for dinner. Flushed faces, including my own, we file in for lasagna provided by Charlie's niece. Everyone is chatting about the day's discoveries. I am particularly proud of my sixteen wild turkeys and, yes, ten sage grouse. Charlie says this was the best attended Bates Hole Christmas count in many years, and that's not the only new development. This year, the groups saw blue jays for the first time as well as an uptick in ravens. Before the 1980s, ravens were rarely spotted here. Jason Finkle describes the appeal of birding for a newer birding generation. "It's like Christmas. You never know what you're going to see. We like to find the weird stuff." In all, we tallied 2,423 individual birds and 45 different species. I left Bates Hole with a brand new love of rural birding adventures and hopes that Bates Hole continues its tradition for many more years. Is This Federal Conservation Program Still All It's Quacked Up To Be? 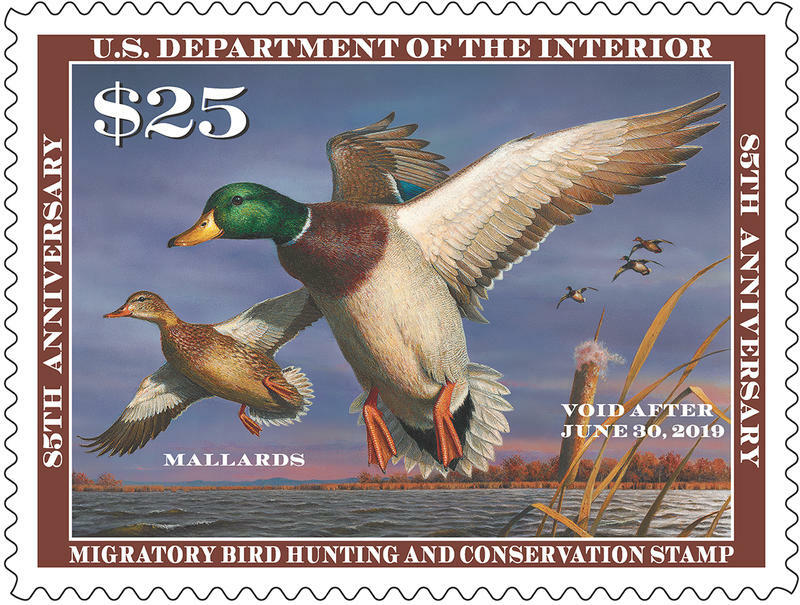 The Federal Duck Stamp Program is for the birds, at least when it comes to birdwatchers. You may not have noticed, but a few months ago the Trump Administration stopped using a century-old law to fine industries when birds are accidentally killed by oil spills, power lines or wind farms. As climate change warms the West, birds of prey are moving north. What happens when an apex predator leaves its native hunting grounds? The Great Salt Lake is vast — around 1,700 square miles of state and federal public lands. For nine years now, the Draper Museum in Cody has been studying golden eagles and what they mean for the dwindling sagebrush ecosystem where they live. That study will end next year so Wyoming Public Radio’s Melodie Edwards joined researchers on a trip to band eaglets and find out what all this research is revealing about this iconic species.